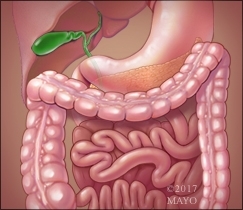 Inflammatory bowel diseases (IBD), such as ulcerative colitis and Crohn’s disease, are chronic disorders of the gastrointestinal tract which require long term treatment to achieve remission, and to prevent relapses. While current therapies are effective, many concerns exist regarding their long term use. Recently, a new area of research has emerged, namely, the question of the optimal duration of treatment in IBD. Dr William Tremaine, M.D., provides valuable insight on a review article published in Gastroenterology, and sheds some light on the relapse rates after withdrawal of well-established therapy in IBD patients. IBD patients in a deep, prolonged remission may represent a group that could stop medication. Patients with lower blood level measures of the drugs could conceivably discontinue treatment. Reduced rates of relapse were also noted with increasing age, for individuals 65 years and older. As a final conclusion, the relapse rates in patients with inflammatory bowel disease who discontinued treatment are generally high; however, in case of specific patients, the discontinuation of therapy can be considered the challenge for future research.